Stations are often thought of as an elementary activity. However, using stations in the secondary classroom is becoming more common than ever. Stations get kids moving and engaged in meaningful learning, and the possibilities for using stations, especially in the workshop setting, are endless. If you've never heard of stations, they're simply designated work spaces spread out in the classroom, each with a specific task. Students usually have a set amount of time at each station, then move onto the next. If you're feeling really adventurous, allow students to work though stations at their own pace, completing tasks at each and ending with a quiet independent application of skills or reflection. In writer's workshop, stations are particularly useful for revision. Revision stations are specifically designed to help students revise their writing. Each station can focus on a targeted writing skill, and students spend their time at each station revising their writing through the lens of that skill. 1. Choose the specific skills students will be revising in their writing. Start by looking at the rubric. What specific skills and standards are you looking to see in student writing? Then, design stations that help students polish those skills. For example, in my narrative revision stations, students visit work stations where they revise dialogue, character development, transitions, and sensory language. Each station reflects a skill that students have practiced, and that I will be assessing them on when I grade their writing. More importantly, each station reflects a quality of powerful narrative writing. The targeted revision of these specific skills will make student writing stronger. Decide on specific tasks students will complete at each station. Keep tasks clear and easy to understand so students can sit down at a station and begin their work independently. With revision stations, small checklists work well. Give students a specific task. For example, you might ask students to highlight all of their sensory language and add an * where they need to add more. Make sure that the tasks you are giving students to complete at each station are rich enough to lead to meaningful learning, but can be finished within a small window of time. Most of my stations activities are no longer than 10-15 minutes per station. With revision stations, it's a good idea to create enough task cards so students can take the cards with them and finish the revisions at home if necessary. 3. Add peer and teacher conference stations. Revision stations provide the perfect opportunity for students to peer conference and conference with teachers. For younger students, I recommend modeling a successful peer conference, showing students how to present their own writing to a peer and demonstrating how to be an active listener, taking notes and providing meaningful feedback. Provide task cards or peer conferencing forms for students to complete as they conference. These will help peers to focus on the necessary tasks in a small window of time. Also provide students with a rubric and encourage them to use language from the rubric when delivering feedback. Students can even grade one another and make revisions based on peer assessments. For the teacher conference, short forms are also useful. An essential question for students to come to a teacher conference with is what do you want help with? This will allow you to focus on one or two specific skills in each conference. It is difficult to read an entire writing piece in a timed conference during station work. It is very possible, on the other hand, to read a student's question and help them remedy a targeted area or improve a specific skill in their writing. Click the image to download these free revision stations for any essay! 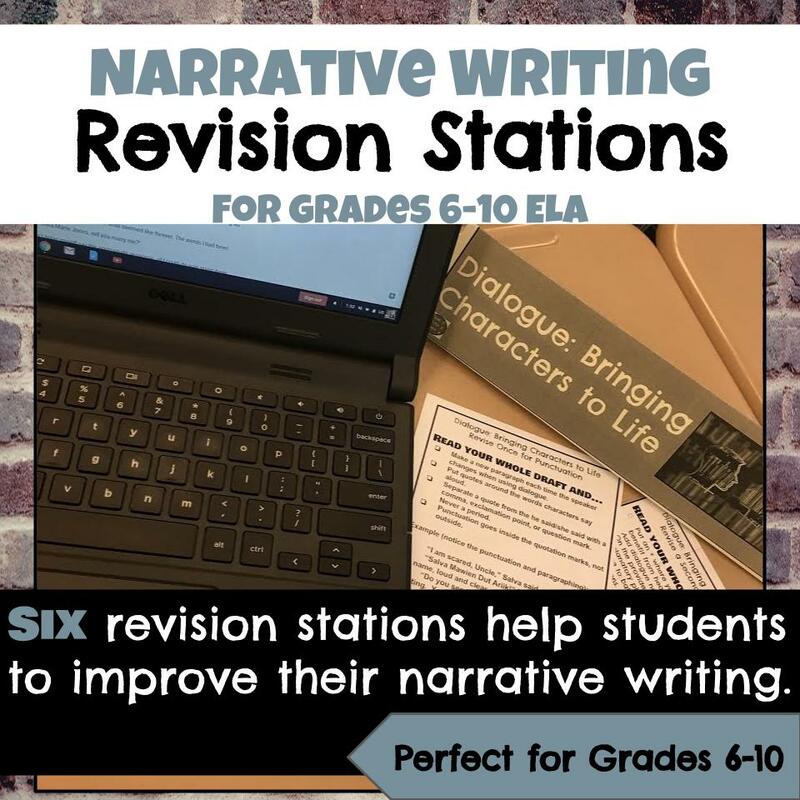 Using stations to facilitate revisions allows students to do the work of learning, working through their writing by analyzing their work from multiple angles. Stations are engaging and lead to meaningful learning. Stations also have the added benefit of giving teachers and students the time to conference writing in class before the writing is formally turned in. The result is better, stronger, more confident writers. Be sure to check out my free revision stations for any essay, available here. Emily is the founder of Read it. Write it. Learn it. where she designs secondary ELA curriculum and blogs about her teaching experiences. She is also a collaborative blogger at TeachWriting.org. Teaching ELA to 7th grade students for the past 16 years has been one of Emily's greatest adventures. Her goal is to design curriculum that engages and motivates students to love reading and writing. As a teacher, there is no better feeling than seeing students' eyes light up when they discover their passion for reading and writing. 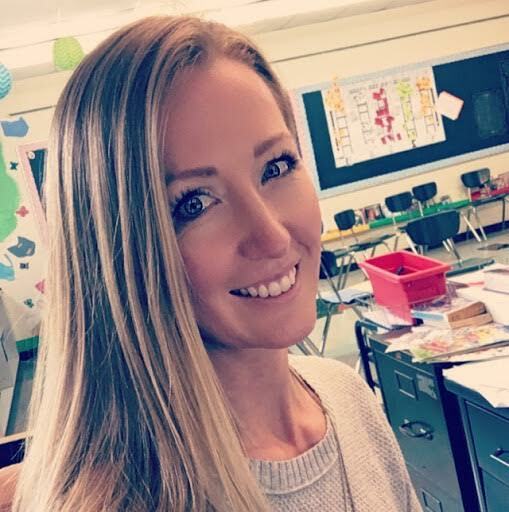 When she's not in the classroom or writing curriculum and blog posts, Emily enjoys spending time with her three kids, three cats, and teacher husband. Read it. Write it. Learn it.